Welcome to another Sponsor Spotlight! 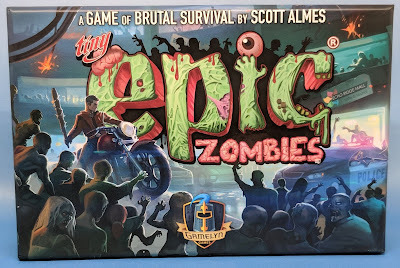 Yes, our original date for the War Kings GT has come and gone, but we aren't too far from Memorial Day weekend (spring is almost here, officially!) and War Kings II. 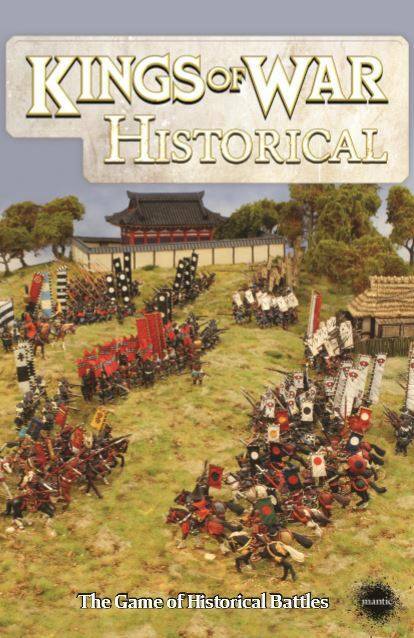 With this being a Kings of War tournament, the one company everyone would expect to be a sponsor (and is!) is of course Mantic Games. 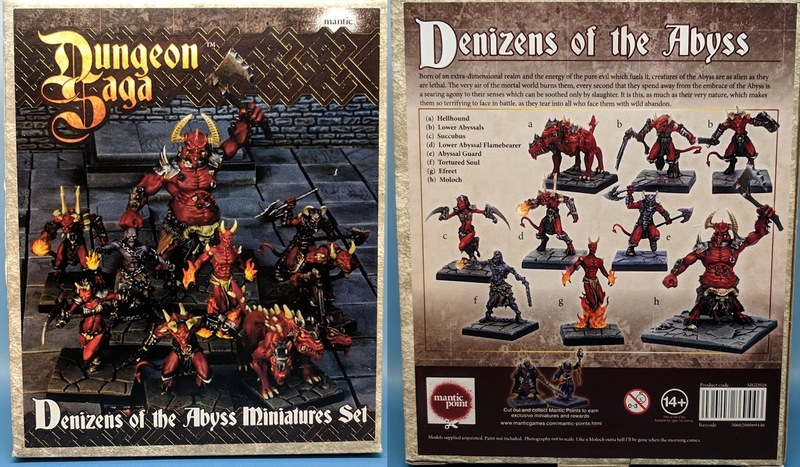 Once again Mantic has stepped up and provided some great prizes. 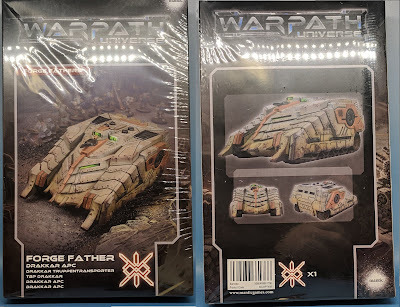 First up, if you like sci-fi games, and have ever tried to walk squats space dwarfs Forge Fathers across the table, you know that they need a ride if they ever hope to get anywhere. And what else but a full blown APC - that is Armored Personnel Carrier for those not in the know. This is a lightly armed tank, giving up weapons for space to carry a squad of your armored Steel Warriors across the table safely. 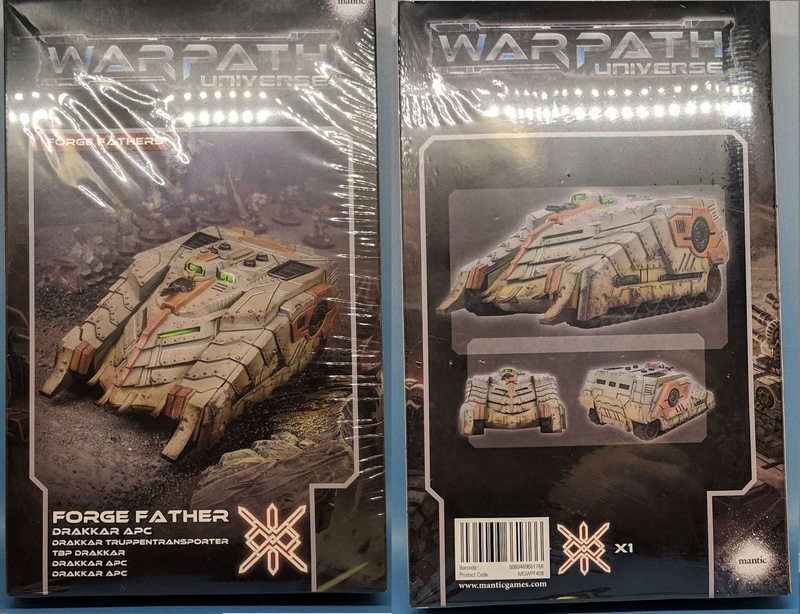 If you want to see more details about it - you can always check out my review of it and the other tank variants here. 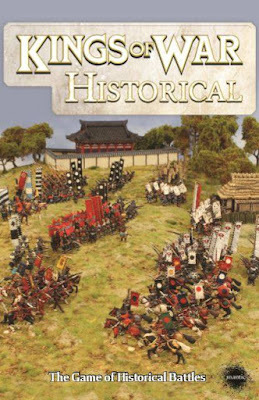 But of course Kings of War is a fantasy game - so you might want some fantasy based boxes instead. Dungeon Saga is a great board game, and after it came out, they repackaged the minions from it into individual sets. These are great for RPG's, but even better can be easily used to flesh out your Forces for the Abyss Vanguard Warband. 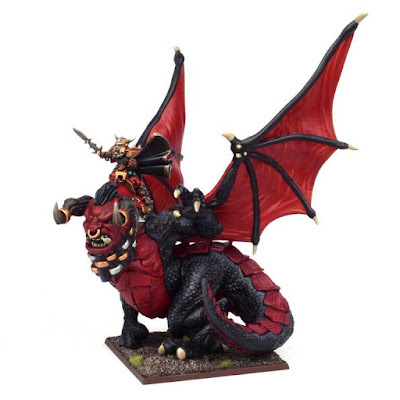 It has a hellhound, Abyssal Guard, 2 Lower Abyssals, a Flamebearer, a Succubi that can all be used in Vanguard. 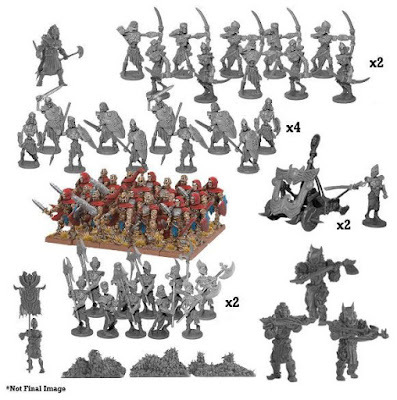 It also includes and Efreet (which could be used as a flamebearer), a tortured soul and a Moloch. 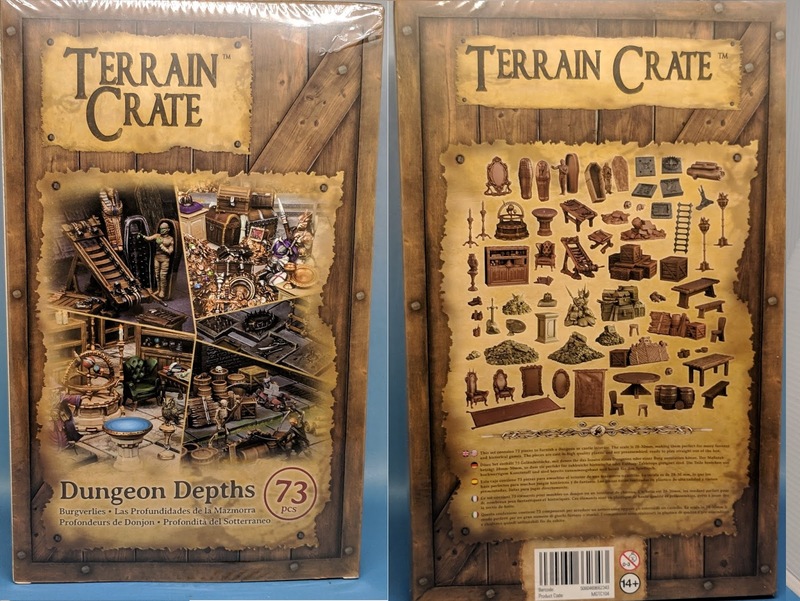 One of the surprise hits for Mantic lately has been their terrain crate line. First there was Deadzone and the sci-fi terrain, and then Dungeon Saga and the great terrain pieces that came with it, including the plastic doors that people went nuts for during the kickstarter. Well if you didn't (and why not?) 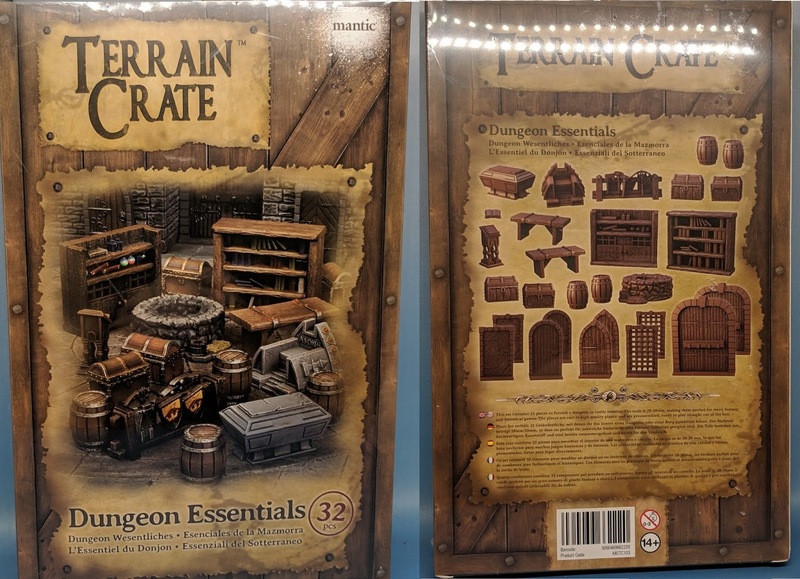 get Dungeon Saga, but need to fill out your dungeon a bit (whether it be for other board games or your RPGs), the original Dungeon Saga furniture and doors are now available as a Terrain Crate set - the Dungeon Essentials. 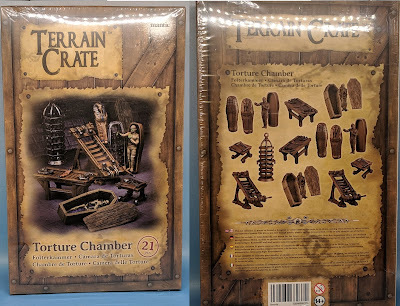 Of course, what is any well stocked dungeon without a torture chamber. 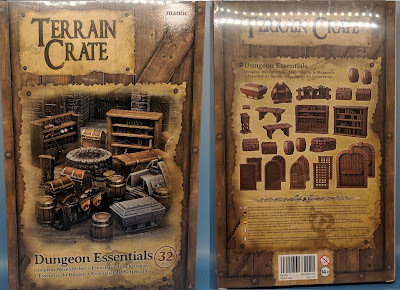 This standard part of fantasy tropes got some terrain crate love, and we have one as a prize. So if you need to stretch out on the rack after a long day of betraying the king or just need to relax in the iron maiden - they have you covered. 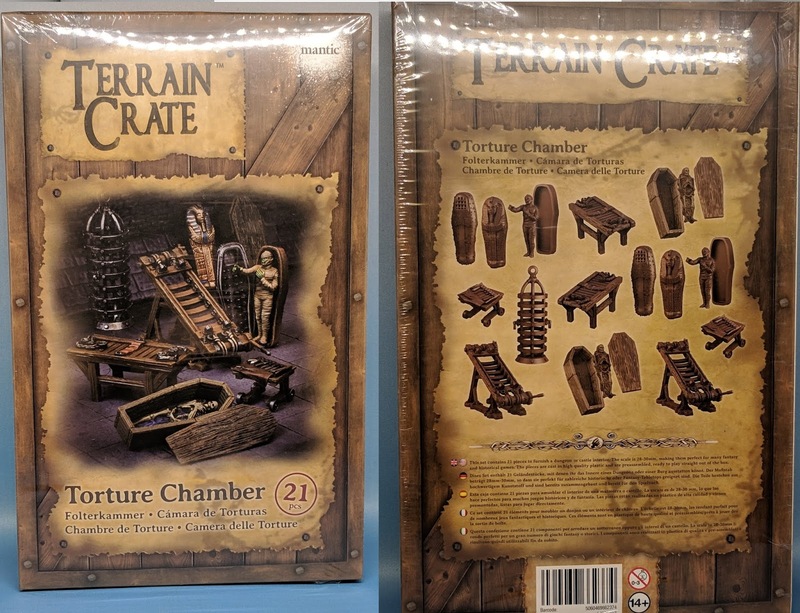 I especially like that is comes with a mummy figure ready to come out of the sarcophagus and seek his revenge. 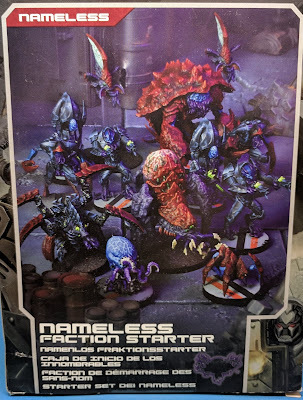 So thank you Mantic not only for making a great game, but for once again sponsoring this (and so many other tournaments).